Years ago, when you had a cavity filled, you had to deal with a big silvery blob on your tooth. Although very durable, these unsightly amalgam fillings also potentially cause your teeth to fracture more easily over time. Thankfully, the days when amalgam fillings were the best available option are over. Now, we at Mod Squad Dental use more aesthetically friendly tooth-colored fillings to restore your tooth after decay or damage. Unlike amalgam fillings, which consist of mercury, silver, tin, and copper, tooth-colored fillings are completely metal free. They are made of composite resin, a combination of plastic material with fine ceramic particles that can be shaded to match the color of your tooth. This flexible mixture is biocompatible, which, simply put, means that these fillings won’t negatively impact living tissue. Composite resin also bonds well to the tooth’s natural structure, unlike amalgam, which requires removing extra enamel so that it stays in place better. Blend in with your natural tooth. No one will be able to tell that you ever had a cavity there. Reinforce the tooth’s structure. Although amalgam lasts longer, over time, it can act more like a wedge in your tooth, potentially leading to fractures. 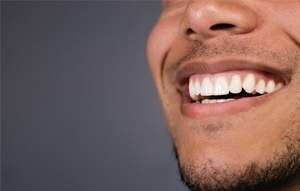 Composite resin helps maintain the tooth’s strength. 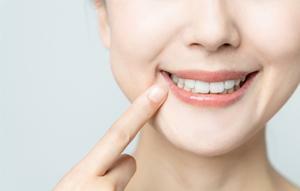 Preserve more natural tooth structure. Amalgam doesn’t bond well with teeth, so more enamel needs to be removed to help it hold its position. With composite resin, you remove only what’s necessary. Provide a better seal from bacteria. Because it adheres well with your tooth, composite resin keeps bacteria out more efficiently. 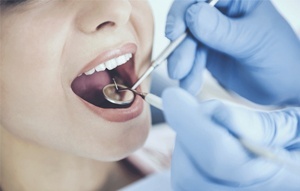 One of our experienced, talented dentists will administer a local anesthetic to numb the area. They will then remove the decayed parts of your tooth, making sure it is clean and free from bacteria. The putty-like composite resin filling is colored to match your tooth and placed into it. Your dentist will then sculpt the resin into the desired shape. A curing light is used to harden the resin more quickly. Then they finish fine tuning the resin, smoothing out any rough surfaces and making sure that your bite feels comfortable. Visiting the dentist for cleanings and checkups twice annually. At Mod Squad Dental, we offer this treatment solution so that you can regain your tooth’s full function, health, and beauty even after tooth decay. We look forward to helping you keep your smile happy and healthy for many years to come. Make an appointment with us today!